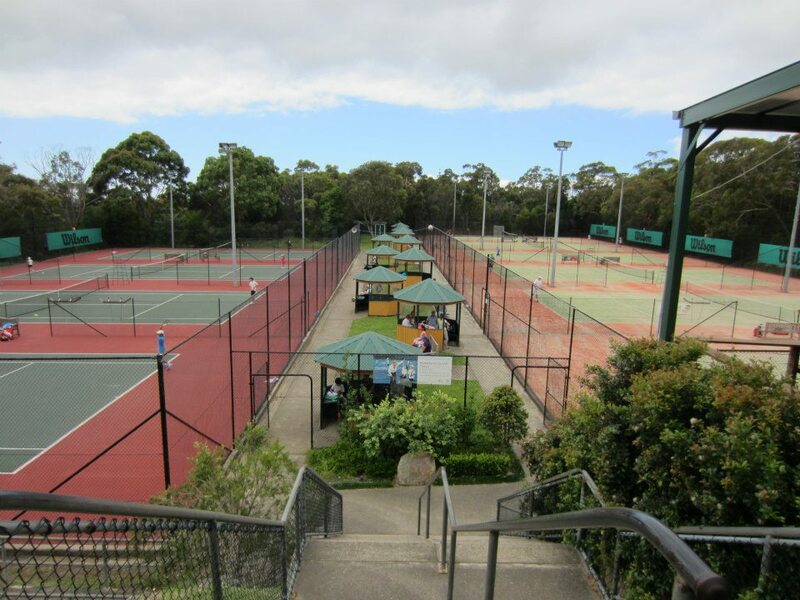 Wakehurst Tennis Centre is situated on Sydney’s picturesque Northern Beaches, boasting 10 Top Quality Courts with the option of Hard Court & Synthetic Grass. With numerous programs available including Junior and Adult Coaching from Hot Shots to Elites, private lessons and all levels competitions, Wakehurst Tennis Centre’s Tennis Australia certified coaching team backed by former touring professionals have all tennis needs covered. What is unique about Wakehurst Tennis? Michelle: Firstly, the location of our centre is unique. We have a bushland setting with water views, which creates a relaxing, beautiful and quiet atmosphere to play tennis. 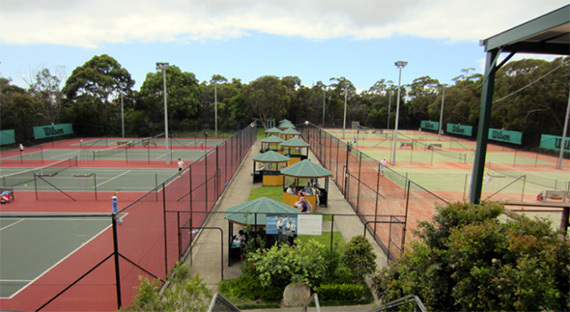 Secondly, we are a large venue with 4 hard courts and 6 synthetic grass courts in excellent condition. This allows us to host large tournaments, social tennis and large group lessons, which in turn creates a community feel to our centre. Finally, we are a family run business, which is unique and generates a warm and friendly feel. Michelle, can you tell us about yourself and your role at Wakehurst Tennis? 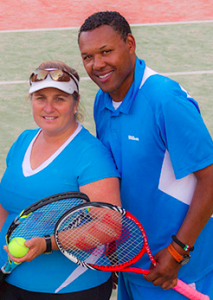 Michelle: I have enjoyed tennis both as a professional player, and as a TCA qualified club professional coach. Previously, I have played 10 years on the WTA tour, reaching a career high WTA top 50 ranking. I have also represented Australia in the Federation Cup reaching the finals, won multiple Australian, USA Junior Nationals events from age 12, and completing my junior career winning the Australian Open Juniors and achieved the number 1 Australian junior ranking. 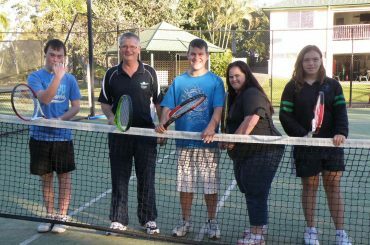 After my professional tennis career, I have enjoyed coaching all levels and ages for more than 15yr as head coach of Junior Programs, assisting project talent days with Tennis Australia, and manager of a tennis centre. Simultaneously, I have held the Head Coaching role at a private girls school, which saw me implementing tennis programming and developing pathways inside of a school curriculum. This has broadened my coaching, and resulted in the school the highest achievement in the Tildesly Shield Tennis Competition. Right now I am focusing solely on our new venture of bringing Wakehurst Tennis into the future as a flourishing tennis centre for the community. We plan to do this by providing a mentoring environment for the aspiring young tennis players to reach their potential. 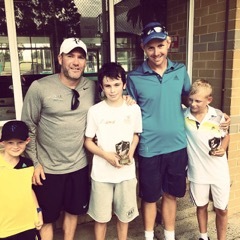 We have equipped ourselves with a great support team of business people, talented coaches, ex-students & our 2 children who have competed at national level tournaments and Tennis NSW Talent Development Programs. Tell us about your staff and the experience they bring to the business? Michelle: My husband, Gershwin Lai, has had a successful professional soccer career, and was selected as a Division 1 European soccer player for Granada, Spain. After his professional soccer career he has been coaching tennis for 15 years in schools, and clubs. He has also provided fitness training services to players on the WTA tour with his extensive knowledge of tennis and soccer. Our office management team is run by Gill and Alison De Gruyter. Gill brings around 40 years of small business experience. She has owned and managed a diverse range of successful businesses, and has been instrumental in establishing our systems and providing guidance to me and other staff. Alison is an aspiring lawyer who is a valuable asset to the business, informing clients about our products and services, building customer relationships, and gathering valuable feedback to deliver an evolving product over time. Our team of high profile women coaches, consisting of myself, Kristie McChesney, and Tiffany Mika, is also unique. 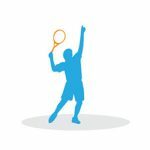 Kristie has been ranked in the top 300 Australian Women, has 10 years coaching experience, and is exceptionally well liked with our juniors and adults. Tiffany has been a leading District Tennis player who has played on the European Women’s circuit, and has coached both tennis and golf for 15 years. Tiffany has also been instrumental in creating a highly successful multisport business for pre-schoolers, and provides online coaching for adults. 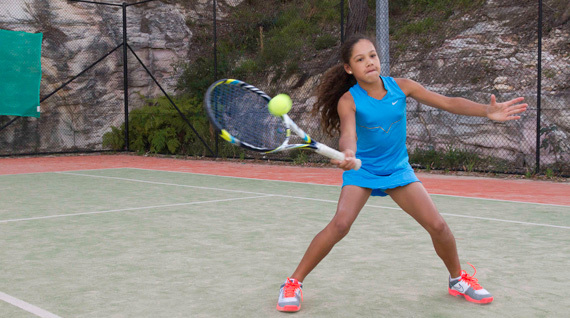 Why is playing tennis important to you? Michelle: My love for hitting that everlasting yellow ball started at the age of two, where my mum told my grandparents that I could hit 50 balls on the full without missing. They informed her I would be good at golf, but my parents knew otherwise. I have 3 brothers who were all very competitive, so I saw tennis as a chance to stand out in the family, which drove my thirst for the game. 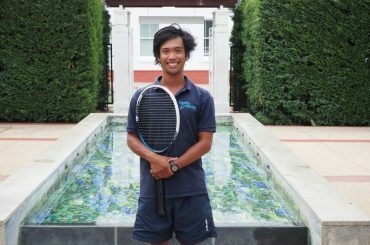 Tennis quickly became a passion and provided me fantastic opportunities to challenge myself, learn self-discipline, and to work hard to reach personal goals. Tennis has opened so many doors for me, I have been able to pass on my passion for the game to my children and clients, it has allowed me to travel the world, and to be financially independent. Even after all this time, I still enjoy playing tennis! As soon as I hit the ball everything disappears, and it still brings me joy to see what you can create. I will always enjoy playing, whether it be socially, being a practice partner/coach to my kids or just mucking around on court alone. Any advice for beginners or aspiring tennis players? Michelle: Just keep going for it! It really doesn’t matter what your goals are, or how skilled you are – because if you fall in love with the game everything else is a bonus. I often tell my students that the key to success is a complete package which includes a strong technical foundation, good physical health, and an activate brain so they can be constantly learning and having fun. My motto is ‘be better than yesterday’. Why do you think players come to Wakehurst Tennis? What do they like about it? Michelle: Firstly, players enjoy the diverse experience of all of our coaches, as there is no substitute for experience. All of our coaches come from different backgrounds, are passionate and are personable with our clients. Our players can see the rewards from our quality coaching through the continual long-term improvement of their game. Secondly, we are a family run business, and this provides a community atmosphere to our centre. We know each of our clients and this personalised service generates a warm and comfortable feeling of belonging. Finally, we focus on creating a team environment, where players can learn from each other and also find strong role models. While I was playing tennis professionally, I found mentors to be an invaluable source of encouragement and knowledge. Therefore we run our squads with this mentoring goal in mind. Every junior attending squads has time to play with children younger and older than themselves, to encourage a healthy learning environment. Students have a chance to teach each other as do our coaches. What’s working well at the moment? Michelle: The mentoring program has had a very positive response because it creates a positive learning environment and empowers the students to become more independent. We are continually changing and expanding our programs, largely due to our loyal customer base. Michelle: There are always challenges with a new start-up business! For me, a challenge has been finding the time for everything I want to do. Learning to balance and prioritise different tasks is a continuing challenge. We are always trying to find new ways to communicate to our players, and listen to their feedback. This feedback is invaluable as we try and get new innovations and systems to improve their experience with the centre. What are the vision and goals ahead? Michelle: We are looking to provide a centre where people can learn, connect, enjoy a sport, and make friends for life. 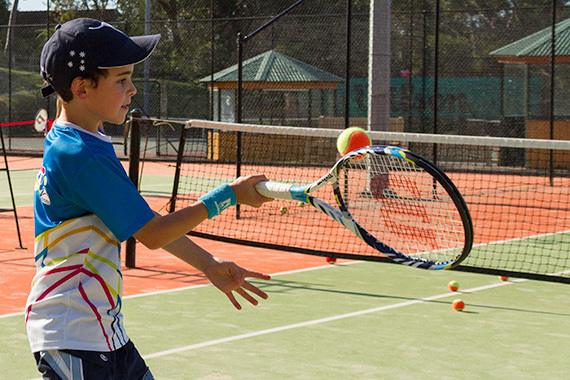 We want people to remember Wakehurst Tennis as a positive experience that impacted them somehow in their life. In the future, we are looking to be more of a health-hub for people, where we can provide healthy food, fitness and advice for all players. We are looking to implement wheel-chair and disability tennis soon. We are also building links with other like-minded centres and sporting venues to provide a greater service to our customers. And to finish off – which do you prefer, a Ball or a Racquet, and why? Michelle: A ball. There’s nothing like being in control of the ball. After Andy Murray’s retirement, Roger Federer and Rafael Nadal may do the same. COPYRIGHT © 2018 AUSTRALIAN TENNIS BLOG.